Teach baby the alpha, beta, gammas of good eating with these fruit and veggie blends plus Greek yogurt. Not-too-sweet Greek yogurt is known for its protein and smooth texture. Seem too good to be true? Take our word, it's not a Greek myth! 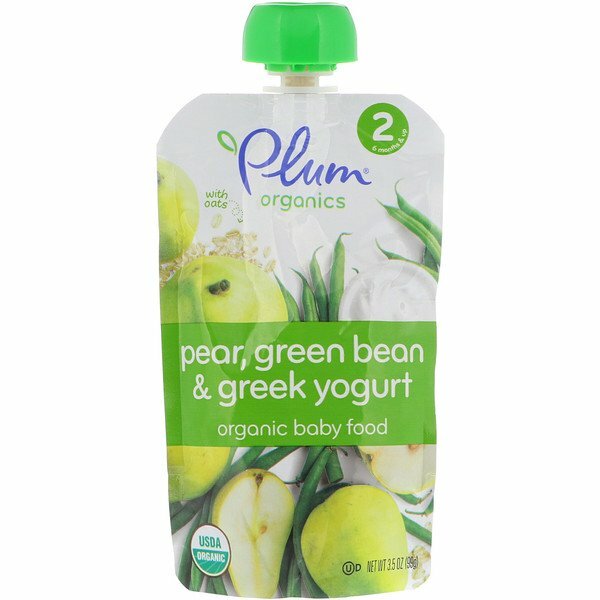 Nourish your baby with sweet pears, green beans and Greek yogurt-the perfect blend for tiny tasters. Nutrition - 10% DV Protein. Stage 2 - Simple blends & smooth texture-ages 6 mos. & up. Palate - Train tiny taste buds from the very first bite. 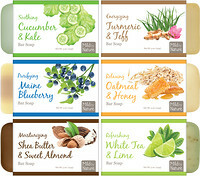 Promise - Unsweetened, certified organic, no genetically modified ingredients. 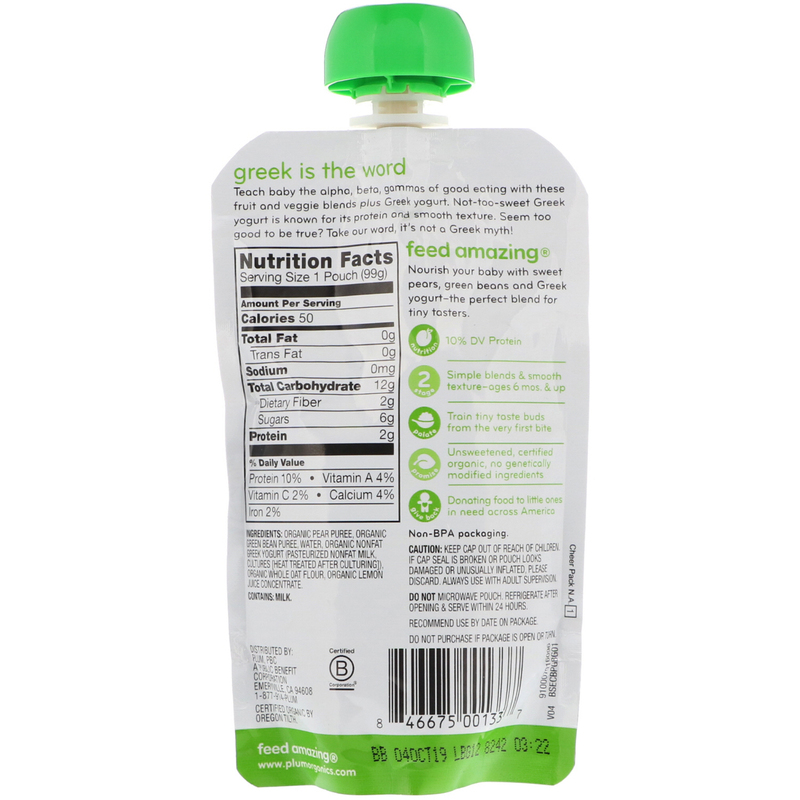 Organic pear puree, organic green bean puree, water, organic nonfat greek yogurt (pasteurized nonfat milk, cultures [heat treated after culturing]), organic whole oat flour, organic lemon juice concentrate.